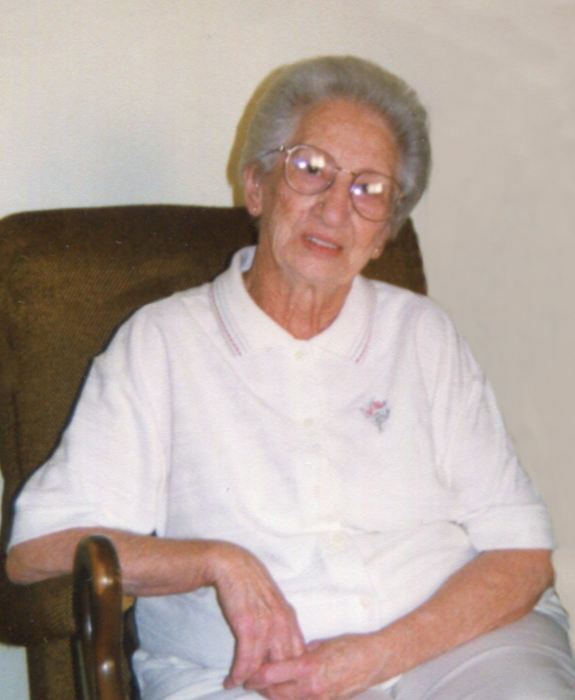 Waynesville, Lucille Marie West Inman, age 97, passed away on Monday, April 8, 2019 at Haywood Lodge and Retirement Center where she received excellent care. A native on Haywood County, she was a daughter of the late Thomas Glenn and Annie Murphy West. In addition to her parents she was preceded in death by her husband, Hobart O’dell Inman who died in 1993; sons, Roy and Henry Inman; and a sister, Pauline Holt. She was a member of East Waynesville Baptist Church. Lucille took great pride in cooking all of her dishes from scratch and was an excellent cook. Her favorite color was lavender; she loved gardening and had a green thumb, working in her flowers and spending time with her family who brought her so much joy. Lucille was an angel among us and is survived by three sons, Lewis Inman (Sue), Paul Inman (Ruth) and Glenn Inman; nine grandchildren, Ann, Theresia, Lisa (Marvin), Dylan (Michelle), Scotlyn, Traven, Brenda, Lynn and Gina; and eight great-grandchildren, Blake, Oakley, Ryan, Lauren, Avery, Jordan, Maggie and Kacie. Funeral services will be held at 2:00 p.m. on Thursday, April 11, 2019 in the Waynesville chapel of Wells Funeral Home with Reverend Mark Golden and Reverend Billy Ferguson officiating. Burial will follow at Inman Chapel cemetery. The family will receive friends from 12:30 until 2:00 p.m. prior to the service at the funeral home.